Is Justin Bieber getting special emigration treatment? You Bet he is! – Dr. Turi M.D.U.S. Is Justin Bieber getting special emigration treatment? You Bet he is! “If you make people think they will love you but if you really make them think the way I do then they will hate you” Take a chance on your spirit, claim the undiluted truth, think outside of the controlling matrix in charge of the media! 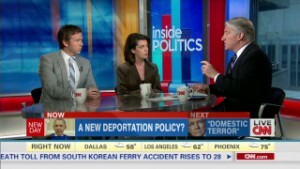 Before elaborating on Bieber’s deportation situation, let me remind you of one of my predictions making top news on CNN on the exact date I said it would, shall we? It is important for me to offer the atheists, the agnostics, the skeptics and the scientific community the fact that; they know nothing of a cosmic God that speaks to me everyday! Science is always asking for concrete proofs and repetitiveness before accepting anything as fact, and I did just that, not only today but since 1991 when I launched my Cyber Cosmic University! The problem is those traditionally educated heads either ridicule, refuse or simply are forbidden by the same cosmic God to see pass their five limited well read human senses! All they have to do is to refer to the article posted April 10, 2014 (that is 12 days ago) and accept the fact! “How he survived I don’t know,” said the FBI’s Honolulu spokesman Tom Simon. “It’s a miracle.” God Speaks Before Science? It seem not only did I give you the exact window but the last sentence of my quatrain “God Speaks Before Science!” seems to be quite appropriate for this miracle! The keywords used “aeronautics” are much too obvious for the FAA or this skeptical crowd to ignore. Well this window just started and I am expecting large quakes, explosions, volcano eruption and a few abnormal shocking news and I already collected some of them for you to acknowledge. The previous April 2014 SOS to the world windows for April 15/16/17 has spoken the Divinity of a real God truthfully speaking his cosmic will through me. What amuses me the most in offering the world my gift is that; the masses will NOT question NASA or USGS for their inability to ever predict natural disasters or work with an Astrogeologist regardless of my undeniable, dated warnings sent via emails! Should they offer their “Godly” expertise to the mass listening, fearing their false God before being revered and treated as God on earth themselves? Where is critical thinking gone I wonder? But the world is not yet awaken to the reality of an irrefutable Cosmic God and while I am dedicated to serve humanity with my visions and predictions, the envious “young souls” will be the first ones to try to mute, hurt my integrity and ridicule me! They will perceive my confidence and immaculate cosmic wisdom as a challenge to their intelligence through what they perceive as Dr. Turi’s immense egocentric attitude! Accepting the fact that someone is more knowledgeable, smarter, different or brilliant in his expertise is immediately refuted because the force of evil consumes those non-gratified, rational envious souls! Incidentally, those non “spiritually” evolved human beings are the ones that need my gift the most, but they do not know just yet! Is Justin Bieber getting special treatment? Washington (CNN) — Justin Bieber is allowed to stay in the United States— for now. More than 270,000 puritanical envious souls have asked the pop star to be deported for his repeated starring role in famous-people-behaving-badly. I wonder how many of those perfect souls smoke weed or abuse alcohol everyday or if any of them never had a speeding ticket or a brush with the law? If I could have those answers and eliminate them, chance are the number will be well below 100 people! 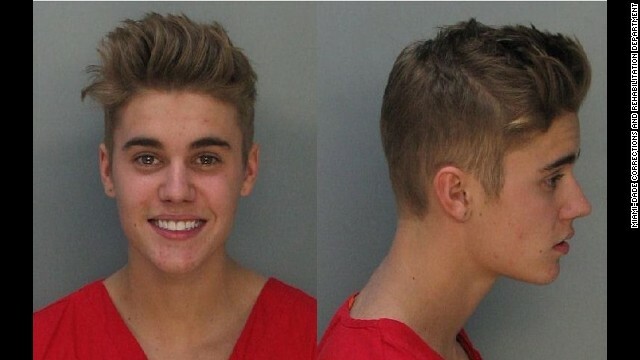 Is Bieber getting some serious special treatment? Why would you ask? When is the last time you kissed your President? Furthermore did you read “Lindsay Lohan says she had a miscarriage/abortion?” If you did you should know that Bieber DOES NOT OWN HIMSELF but he is the property of some of the wealthier, powerful legal sharks in Hollywood and they are all laughing at your requests! Because they have the money, the know how and the people in high places (Obama?) to keep the billions flowing to their Swiss bank accounts! 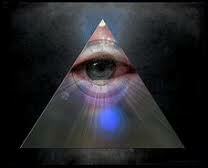 When will you wake up America, the scientific, religious, news=media and entertainment matrixes OWN you all! Indeed the Lobbyists know exactly what to do to make the $$$$$$$machine$$$$$$$ working for them! But how many of you read my 2014 Arian Draconis? (public) Let me share a prediction I made for my VIP’s about emigration! Thus is Justin Bieber the catalyst for yet another of my predictions to come to pass? You bet he is but he; like 99. 999% of the world he is unaware of the cosmic code jurisdictions and “chosen” by a Cosmic God to start bringing the scale of justice in motion. Its WE the people against the abusive corporate matrixes and their Lobbyists but the new Libra Dragon is also endorsing our demands… How will this cosmic energy affect your personal life? 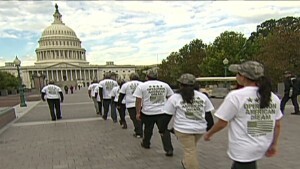 Is race holding up immigration reform? President Barack Obama has deported more people than any other president, causing him to be known as the “deporter-in-chief” in some sectors of the immigration community. But isn’t Bieber here legally? He sure is. But it’s not only illegal immigrants who are receiving deportation orders. The Immigration Policy Center estimated that 10% of the people deported between 1997 and 2007 were legally living in the United States. Knowing this fact I could also become a target for deportation, especially if my work and articles becomes too political or too negative for our President. After the visit of two FBI agents should I keep using my right to express myself and keep warning the NSA and the FBI on our President’s fate? Yes, legal residents are getting kicked out because of a previous crime. According to a 1996 immigration law, it doesn’t matter how long ago people committed their crime and the types of crimes eligible for deportation are vast and expanding. For instance, shoplifting and marijuana possession often qualify. But I am a legal law obedient Alien with no negative police record under my belt. All I am doing is predicting and warning the world of its impending fate and trust me readers the NSA and the FBI are reading ALL my articles! While I am far from Bieber situation, Justin has a lot of potential charges under his belt but he is the least person I worried about because he is owned by the Americans Entertainment powerful Hyaenas. They know well Obama would never upset millions of teen fans — is because of that his DUI is not a deportable offense. His vandalism charge probably isn’t either. His assault charge might be, experts say. Bieber also has another advantage. He never got a green card. Bieber is in the country on a visa for people with “extraordinary” abilities. I belong to this class but since 1991 and to this day, only a fraction of my American supporters, clients, friends, students and patients realize I own “extraordinary cosmic” abilities. If I was to get in trouble with the law, even with thousands of endorsements over the years, I would be deported because I don’t have the resources to hire top immigration and criminal attorneys to help me navigate the system. But if I leave the US it is because my decision and not because I am forced to do so and I feel those changes are needed in my life! Important note: I always said to my readers, the day I leave America you may want to follow my lead and once our house sells, Terania and I have decided to move to another country! Florida may not be the place I will retire to after all and while things could change, the planned trips ahead of us will tell us where we will end up! The reasons could be geopolitical, a nuke attack on the US, a terrible natural disaster or our own security being compromised! This mean only the Cosmic Code or my “Cosmic Cyber University” will be operational and become the only way to read my warnings in my cosmic code newsletters all along and from where ever we will be secretively operating afterwards! When you notice the flux of my newsletters slowing down and disappear it may be too late for you to join but we will keep steadily informing our VIP’s of all our current and future moves… You paid us for a service and we will honor it to the end. Indeed my promise to share our life, our experiences, our trips’ pictures, videos and serve you “cosmically” every months will end only when I become too old to write… Yes, as predicted for the Turi family, this 2014 Arian Draconis is about to change our lives drastically… Join us while you can! But the beauty of being an independent contractor is that; I am already all over the world, all I need is a laptop and a bank account and I am on business practicing Astropsychology! Chances are I will never be out of work because so many people are in need of directions and feed up with lies and manipulation. MY “Cyber Cosmic University” will never disappear and I hope to teach Divine Astrology to many more students willing to become independent of the system because I can not save this world on my own! The problem is the exorbitant amount of taxes I have to pay every year, but all will pay off when I retire next year! Social security checks are based upon the last 3 years revenues and I will get my well deserved dues then… I just hope to live a long time so I can enjoy my retirement! Indeed you get what you pay for in life and this is the reason why I charge a lot of money for my consultations, because my “extraordinary cosmic abilities” are real! I could have saved Justin Bieber and any other celebrities millions in legal battles by warning them of their natal/hidden fated Dragons and their “Personal Cosmic Biorhythms” because ALL happened then, all ordered by the Cosmic Code jurisdictions. “If every 8 year old in the world is taught Astropsychology and meditation, we will eliminate ignorance and violence from the world within one generation.” Watch the future!